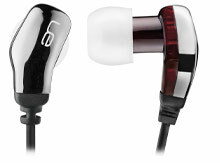 Ultimate ears 600vi noise-isolating headset features a microphone and on-cord controls for calls and music. 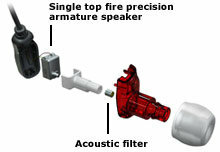 it produces extended high-frequency response and a fuller soundstage. In-studio and on-stage, top touring musicians choose Ultimate Ears Custom Stage Earphones because they are made to deliver the best fit and sound reproduction available. Answer your calls and get crisp, detailed sound with the precision-crafted Ultimate Ears 600vi Noise-Isolating Headset. The advanced armature speaker design creates a 3D soundstage that makes you feel like you're at a live show. And the on-cord controls with integrated microphone let you answer calls, adjust volume, and change music tracks with incredible ease. Listen comfortably and securely with five sizes of soft silicone ear cushions (XXS-L) and two pairs of Comply Foam Tips. No need to switch between earphones and headset for your music and phone calls – you'll get detailed sound, crisp calls and noise isolation all in one. Feel like you're at the show – as the custom-tuned speaker design produces an extended high-frequency response and creates a 3D soundstage. 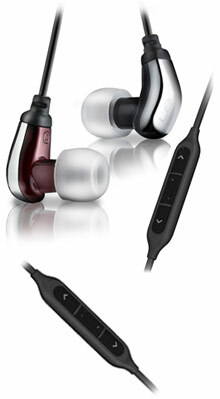 These earphones fit comfortably inside your ears, creating a secure seal that block outside noise by up to 26dB. Frequency response of 20Hz – 20kHz delivers clean bass, clear mid and crisp high tones. Blocks out background noise so you get heard. -58dBV/Pa sensitivity and a frequency response of 200Hz–10kHz. Wear the lightweight earphones (13.6g) in two directions – casually straight down, or securely over your ears while exercising. Provides maximum comfort and creates a seal for optimal noise-isolation. Two pairs are included. Choose from five sizes of provided ear cushions (XXS – L) to comfortably fit all size ears. Quickly identify left and right earphone. The durable, 46" long cord doesn't tangle as easily as thinner ear bud cords. Safely stow your earphones in a protective hard case that slips easily into a pocket. The remote and mic are supported only by iPod nano (4th and 5th generation), iPod classic (120GB, 160GB only), iPod touch (2nd and 3rd generation), iPhone 3GS, iPhone 4 and iPad. The remote is supported by iPod shuffle (3rd generation). Audio is supported by all iPod models. Requires latest iPod software. The following models support audio playback : Made for: iPod touch (1st, 2nd and 3rd generation), iPod classic, iPod with video, iPod nano (1st, 2nd, 3rd, 4th and 5th generation), iPod shuffle (1st, 2nd and 3rd generation), iPod with color display, iPod mini, iPod with dock connector, iPod with Click Wheel, iPhone 4, iPhone 3GS, iPhone 3G, iPad. Comfort Features Sits stylishly and unobtrusively in your ears. Lightweight and wears over the ear or down. Sleek micro design virtually disappears in your ear. * The remote and mic are supported only by iPod nano (4th and 5th generation), iPod classic (120GB, 160GB only), iPod touch (2nd and 3rd generation), iPhone 3GS, iPhone 4 and iPad. The remote is supported by iPod shuffle (3rd generation). Audio is supported by all iPod models. Requires latest iPod software. ** Volume control functionality not available with BlackBerry devices. Audio is supported by all music-enabled smartphones with 3.5 mm jack.